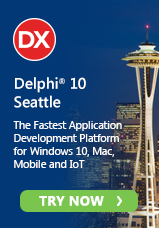 Two new updates are available for Delphi XE, C++Builder XE, and RAD Studio XE users. Help Update 2 for Delphi and C++Builder XE provides bug fixes and other improvements to the Help system. Visit http://docs.embarcadero.com for versions of the Help available online. Please update this EDN article. Is there no regular Update 2 comming? Only hotfixes? I am scared, if QC#88935 is not going to be fixed for the XE version. Funny, the Rad Studio XE "check for updates" indicates there are no updates. I'm pretty sure in the past that would find help updates in addition to regular updates. Hotfixes don't generally show up automatically with Check for Updates, just the larger updates. Help Update 1 came up in Check for Updates but Help Update 2 can't due to a bug so it's only available from the registered user download page on CodeCentral.